Like your torrid professor-student affairs with a side of gothic magic? Professor Carter Alexander may have a sharp tongue and a reputation for reducing freshman acting students to tears, but he’s gorgeous. He’s the man of Teagan Moss’ dreams. Literally. She’s been having dreams about him since she was thirteen years old. Yes, those kind of dreams. Teagan’s been sheltered, hidden away by her crazy aunts and her even crazier mother, all of whom have cautioned her that the man in her dreams wants to hurt her. But Teagan doesn’t believe in their stories of power and evil. All she wants is to be normal for once. One night, she’s compelled out of her bed by a force she doesn’t understand. She finds herself across town on Professor Alexander’s porch. New Adult Paranormal Romance: Intended for mature audiences due to explicit sexual content. 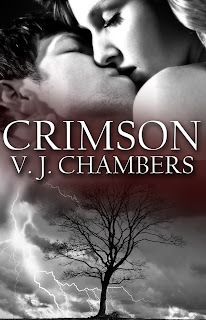 Read an excerpt from Crimson here!